Less than five years after buying Fashion Optical in Dallas, Morgan Gianni transformed the sleepy boutique into a temple of designer brands reaping millions in annual sales. That extraordinary success was largely due to Morgan’s uncanny ability to select the perfect eyeglass frame for each and every visage. 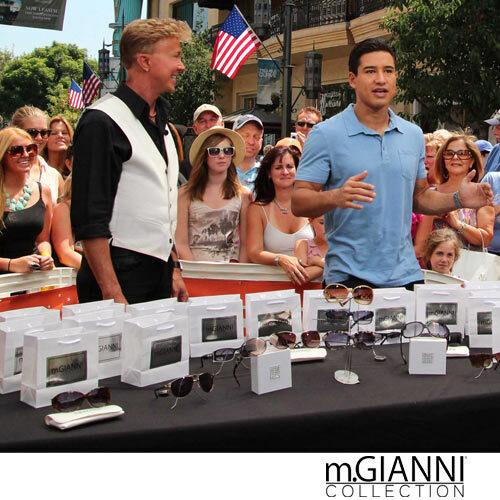 Building upon his extensive experience fitting individual customers combined with technical knowledge and a refined, fashion-savvy aesthetic, Morgan designed m. GIANNI Collection, an utterly chic line of Rx-able sunglasses that are comfortable, lightweight and durable as they are glamorous. The collection is a limited edition comprised of seventeen styles of women’s, men’s and unisex sunglasses. Only 1,000 frames of each color will be manufactured worldwide and each frame has an original certificate of authenticity. Hand crafted in Japan, the m.GIANNI Collection is made of finest hand-layered acetates in an array of contemporary patterns and colors from the renowned Mazzucchelli company in Italy.